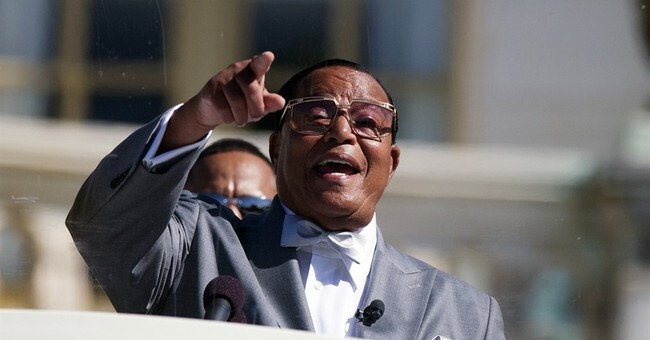 Last week, Nation of Islam leader Louis Farrakhan delivered an anti-Semitic speech to recognize Saviour's Day. In it, Farrakhan claimed that Jews "were responsible for all of this filth and degenerate behavior that Hollywood is putting out turning men into women and women into men.” He also at one point intoned that "the powerful Jews are my enemy." CNN's Jake Tapper was outraged at Farrakhan, tearing apart the incendiary speech on Twitter. The hateful speech was attended by Women's March co-chair Tamika Mallory, whom Tapper called out for her complicity. Tapper noted another "hot mess" of an exchange in which Mallory and Women's March founder Linda Sarsour refused to answer for her friendship with Farrakhan. 2/ This convo, too, is a hot mess. Women's March supporters asked Mallory to resign, because Farrakhan's "bigotry" has no place in the movement. Resign as self-designated leader of @womensmarch. The bigotry expoused by Farrakhan has no place in what that March was all about. You tarnish the beauty of the March. Farrakhan is so controversial that during the 2008 presidential election a journalist opted not to publish a photo he had taken of Barack Obama with Farrakhan in 2005, for fear it would end his campaign.